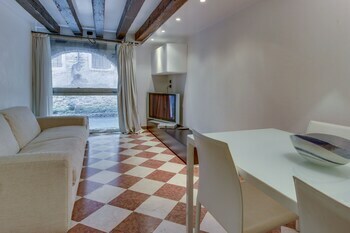 Located in Venice (Castello), Leisure Venice is within a 15-minute walk of St. Mark's Basilica and Bridge of Sighs. A roundtrip airport shuttle is provided for a surcharge (available on request). With a stay at Villa Le Tore in Sorrento, you'll be within a 15-minute drive of Li Galli Islands and Crapolla Cove. Free self parking is available onsite.